If you own investment or rental property and just don't have the time to address on-going tenant and maintenance issues, than we are the rental property management company you've been looking for. We provide award winning 2019 'Best In Class' property services. If your career requires you to move out of the area, we can help you rent and manage your property for you. Our focus in on superior client services. We do not believe in tying our clients to long term contracts. We want to earn your business every day. We also do not believe in charging our clients on a percent of rent basis for our services. After all, why should you pay us more if you get more in rent? This option affords clients incremental income and property appreciation. Personal Property Managers will handle those late night calls from tenants, and we'll handle all of your contracting, maintenance, rental collection, vacancy, and bookkeeping needs and act as a liaison on your behalf. We are a full service Residential Property Management Company serving the Delaware Valley, Southeastern Pennsylvania and New Jersey area. Licensed Realtor via EveryHome Realty, Pennsylvania RS308044. New Jersey 1326862. PAHIC PA031951. 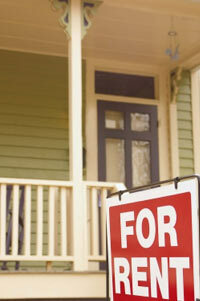 Learn more about Personal Property Managers from our recent News Stories. Periodic inspections of the property during the lease period in order to ensure proper maintenance. Full janitorial and maintenance services with 24/7 call center and weekly customer follow up surveys. EPA certified to train in the new lead safe work place practices. Tailored solutions to fit your every need. Licensed Realtor via EveryHome Realty, RS308044. We do not believe in long term client contracts. We want to earn your trust and business everyday. We charge flat rate / fix rate fees for our services. We do not believe in charging you more on a percentage basis because you get more in rent. We offer you a stress-free way of building your long term wealth with out day-to-day problems. Advertising and Marketing Expertise to address vacancies. Our “boutique ”approach to helping property owners and investors manage their rental properties is characterized by providing best-in-class services and an array of solutions that are tailored to your specific property management needs. Our award winning services allow us to provide you exceptional value. Our goal is to make owning rental or investment property an easy and stress-free way of building your long term wealth. PPM will put forth its best efforts to help in the facilitation of a tenant. Our clients will ultimately decide and approve their tenants. We will assist in helping our clients in addressing property maintenance issues at the full approval and direction of our clients. PPM is not responsible for property damage which may or may not be caused by tenants nor is it a guarantor. We manage your property like it's our property. Please let us know how we can tailor a specific Property Management program to fit your needs. 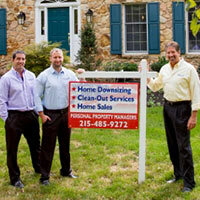 Please feel free to call us at 215-485-9272 or 908-368-1909 to discuss your Property Management needs. Let us handle the day-to-day operations/management of your property. Start enjoying your free time and give us a call today!